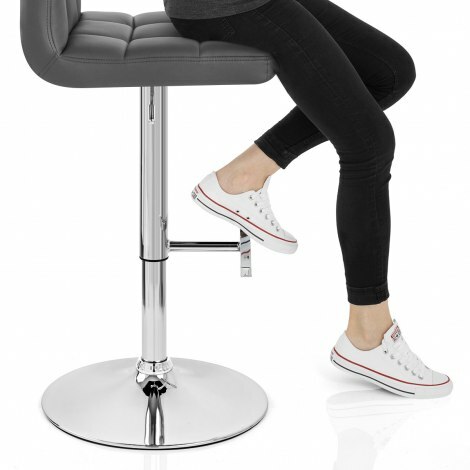 Cool and contemporary, the Grid Bar Stool Grey boasts a real modern elegance that will impress for years to come. A great addition to any bar interior, the Grid makes the perfect purchase for those seeking an on-trend design will a myriad of practical features. Upholstered in gorgeous grey faux leather, the amply padded seat offers quality comfort with a generous backrest for support. Enhanced by trendy grid stitching, it delivers style as well as substance. A polished chrome frame sits beneath, with a gas lift mechanism within for variable height and 360 swivel, allowing optimum mobility. The stylishly sculpted T-bar footrest makes a practical perch for the feet, whilst a protective underside on the round base will help minimise damage to flooring. "Excellent customer service and product"
Really happy with these. Very comfortable, good quality, and they look great. Good price too. Very pleased with stools. Colour as appears on website. 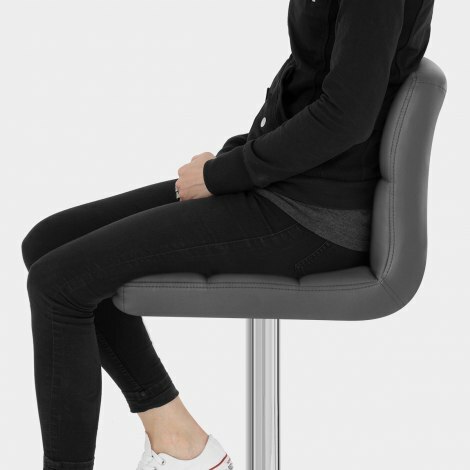 Comfortable with decent seat padding and backrest support. Amazingly quick delivery. Very easy to assemble. Can't fault them at all in terms of value for money. This isn’t the first time I’ve used Atlantic Shopping and I very much doubt it’ll be the last. 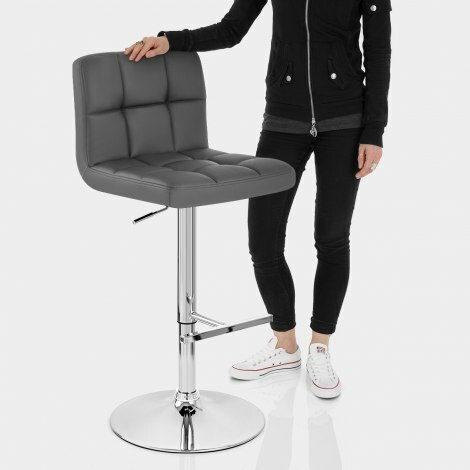 The stools are very good quality, very easy to assemble and arrived very quickly. Very pleased with the purchase of two of the grey stools. Easy to assemble and look great in our new kitchen. Highly recommend this product.